Lepidoza setigera - Fresh growth of this liverwort has a distinctive pale colour due to the wrinkled surface of the leaf cells. Widely distributed but not common, favouring rotten logs and open forest. 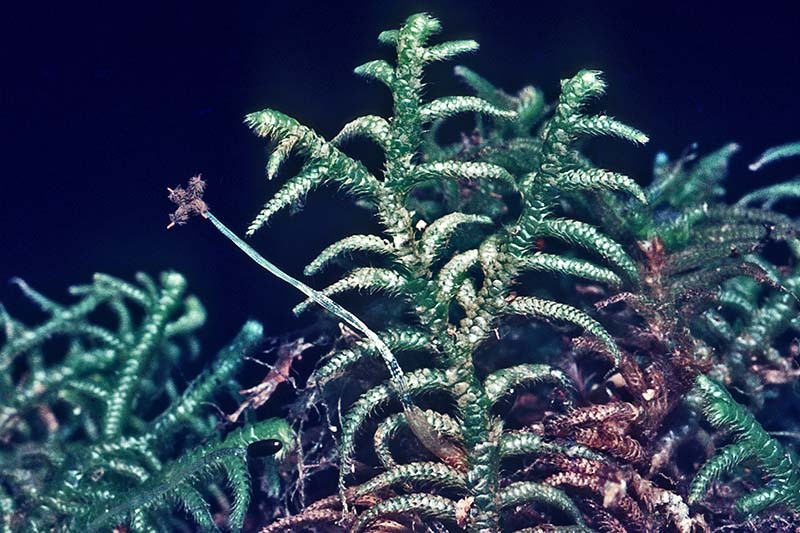 Lepidoza microphylla - A species with wiry, erect to scrambling stems with a herringbone (pinnate) arrangment of branches bearing very small leaves (about 0.3 mm long). 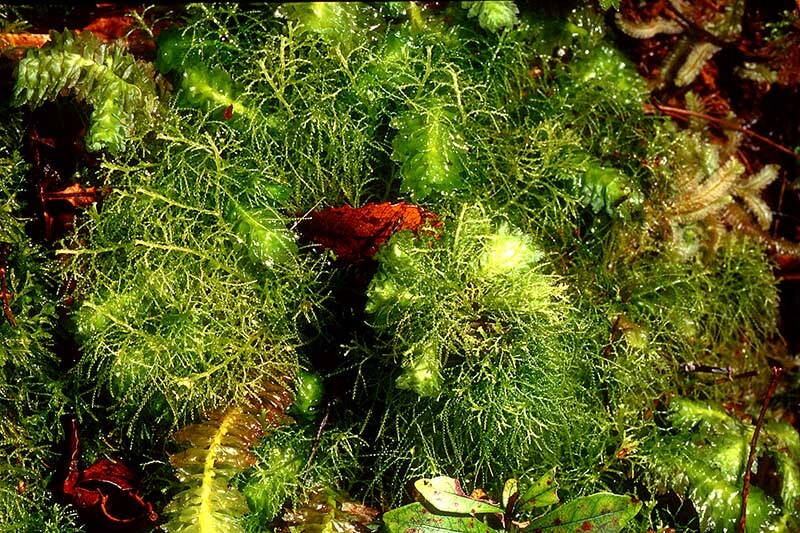 Found in wet lowland forest throughout New Zealand. 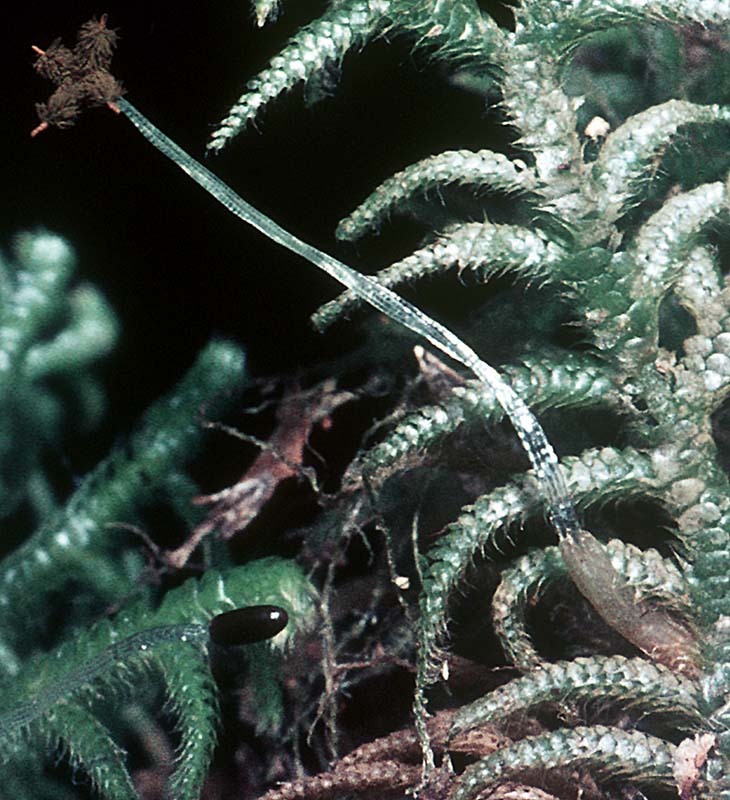 Telaranea tetradactyla - A species with prostrate to procumbent stems that seldom exceed 4 cm in length with leaves that are about 0.5 mm long. 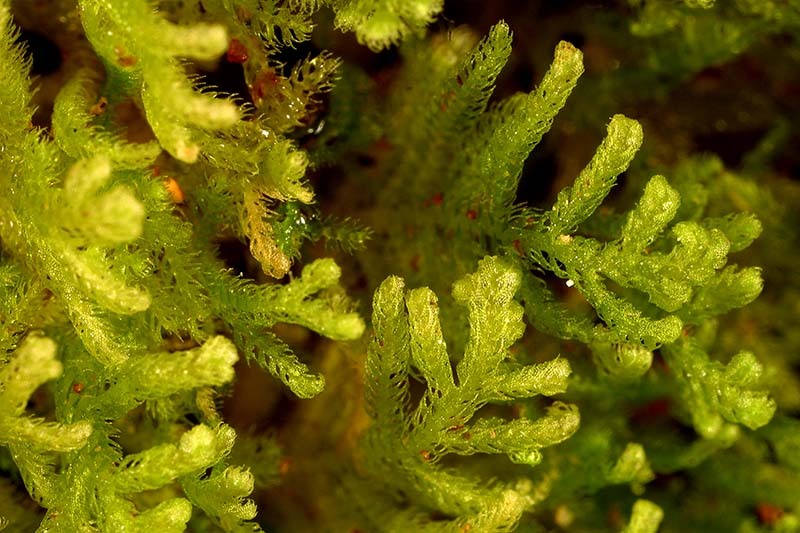 It is found in wet forest throughout New Zealand. 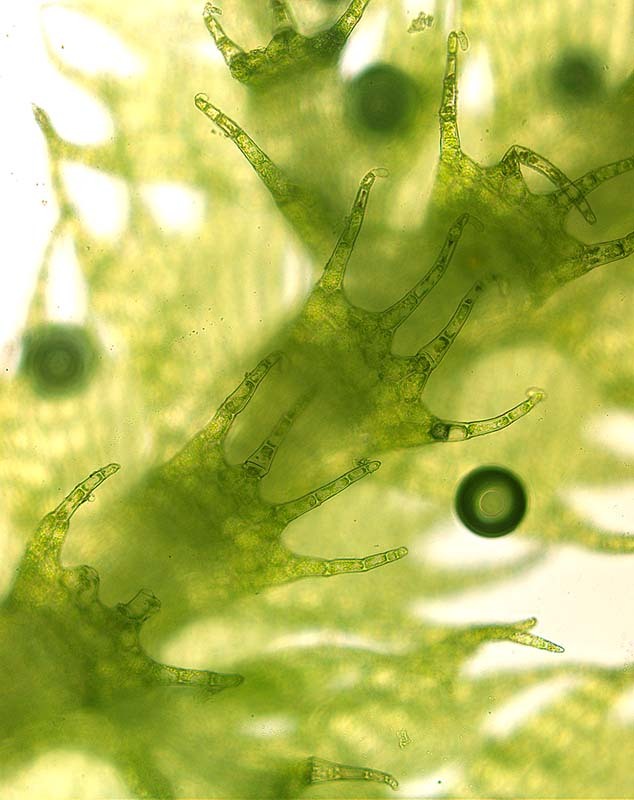 Telaranea tetradactyla - Upper surface of stem with well-spaced dorsal leaves. 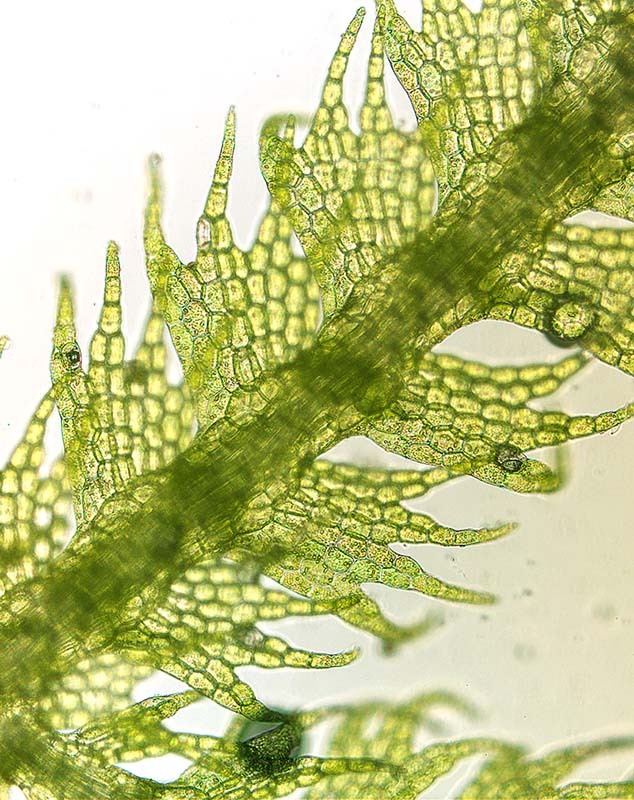 Telaranea tetrapila - The widely spaced dorsal leaves have filamentous projections. 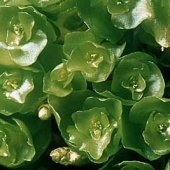 Telaranea tetrapila - The lower stem surface has small ventral underleaves with filamentous projections. 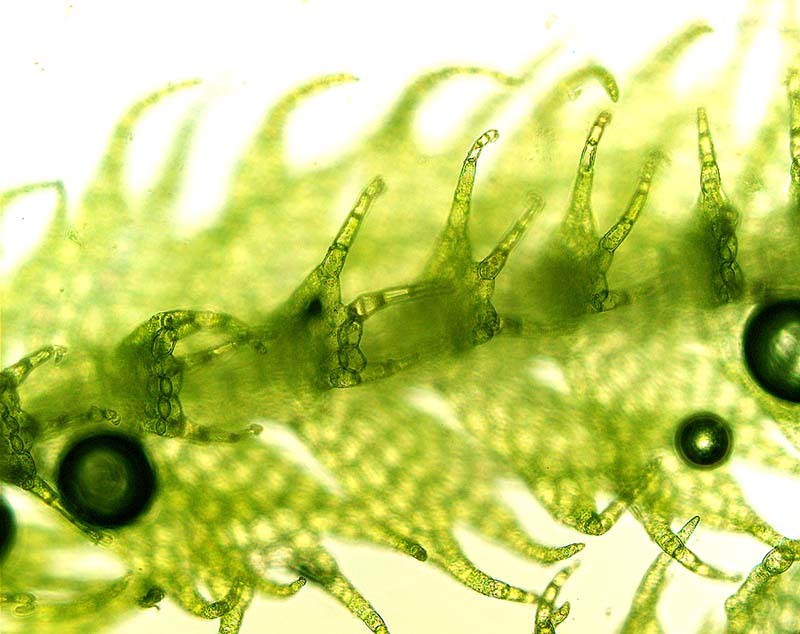 Telaranea tetrapila - The ventral leaves each have four filamentous projections. 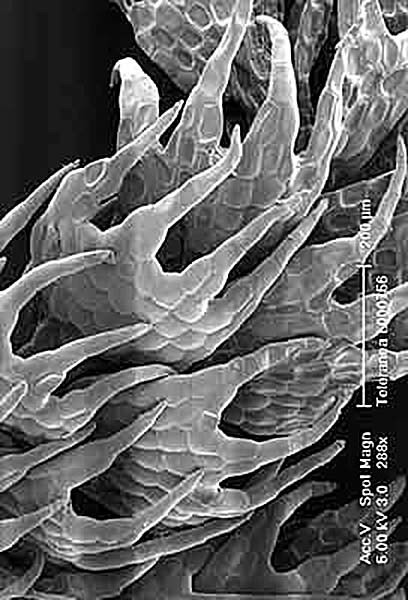 Talaranea tetradactyla - Ventral leaves in the scanning electron microscope. 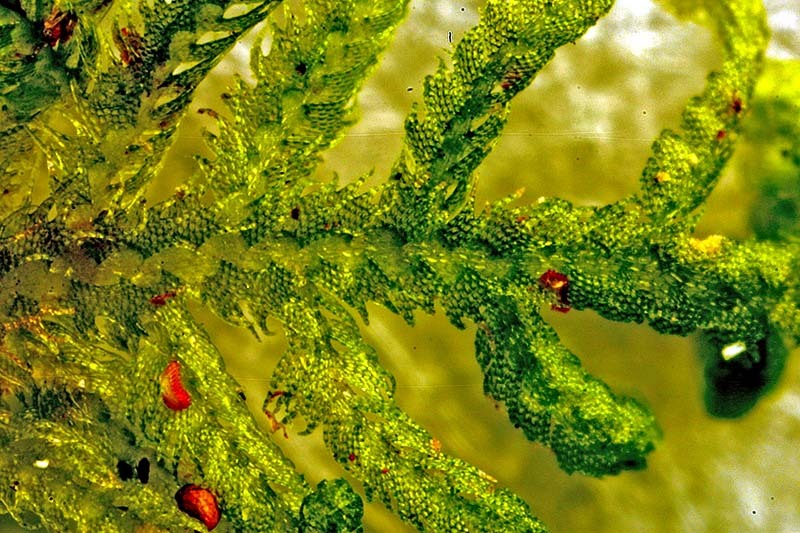 Lepidozia and Telaranea are small creeping liverworts with deeply lobed leaves.